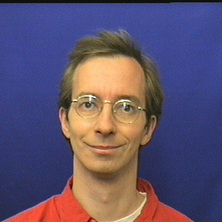 Dr Schirra is an NMR spectroscopist with more than 20 years of experience in the technique. He received his basic research training in Germany and Switzerland. He received his PhD from the Swiss Federal Institute of Technology (ETH) in Zurich (Switzerland), where he elucidated the solution structure of one of the major proteins catalysing protein folding in E.coli. In 1999, he joined the University of Queensland where he investigated plant defense proteins, in particular the interaction of plant proteinase inhibitors with insect proteinases. In 2005 he was awarded a prestigious Queensland Smart State Fellowship. In 2009 Dr Schirra became an independent Lecturer in the School of Chemistry and Molecular Biosciences at UQ, and in 2012 he joined UQ's Centre for Advanced Imaging, where he leads a multidisciplinary research program in metabolic regulation and systems biology. The focus of Dr Schirra's scientific career from early scientific education to independent researcher has been to develop research skills and expertise in a number of areas at the interface between biology and chemistry, with the view that important biological problems require a multidisciplinary approach to reach a solution. His main field of research is Structural and Metabolic Systems Biology. During his early postdoctoral time Dr Schirra focused on the relationship between protein structure, dynamics, folding and function. Between 2007 and 2010, he extended his research to include the next level of hierarchy, the function of proteins in the metabolic network of the cell or a whole organism, and the functional consequences of altered protein function in this context. As well as it being a logical extension of Dr Schirra's previous work, this transition of research direction from structural biology to systems biology was motivated by his desire to work on “big picture” problems in biology. Dr Schirra saw the potential that NMR-based metabolomics offered as a platform technology for characterising the metabolome and investigating the impact of disease and environmental change. Specifically, Dr Schirra's current research focuses on elucidating the basic principles of metabolic regulation and the role it plays in fundamental biological processes, in the development of disease, and in the connection between genotype and phenotype. Part of this research theme is to push the boundaries of NMR-based metabolomics by integrating the technique with genomic and proteomic methods and by expanding the toolbox of computational methods to analyse metabonomic data. My main research interest is the delicate interplay between protein structure, dynamics and folding with protein function - by itself and embedded in the context of the whole metabolism of a living organism. I study these relationships with nuclear magnetic resonance (NMR) spectroscopy and a variety of other biochemical and biophysical techniques. Individual research projects are outlined in further detail below. Lepidopteran insect pests are reponsible for significant losses of a range of crops, including cotton. Generally, plants counteract these attacks with proteinase inhibitors against the digestive enzymes of predatory insects. My aim is to characterise the interactions between the major digestive enzymes of the predatory Lepidopteran cotton pest Helicoverpa punctigera and plant proteinase inhibitors in atomic detail by structural, dynamic and biochemical studies. The outcomes of this project will lead to novel approaches to protect cotton and other economically important crops from present and future pests. Collaborators:This project is in collaboration with A/Prof Marilyn Anderson (La Trobe University, Melbourne) and Hexima Ltd. (Melbourne). The aim of this project is to investigate the mechanisms of folding, processing and packaging of proteinase inhibitor modules in the multidomain protein ProPI from Nicotiana alata using NMR spectroscopy and X-ray crystallography. This protein, involved in defence against insects and other pathogens, may be compared to multiple warheads in missiles. It has multiple functional domains joined by cleavable linker regions and uses only one set of transport machinery for the ultimate delivery of several destructive weapons. The protein is unique in that the structural domains are offset with respect to the sequence repeats of the inhibitor gene as a result of intramolecular domain swapping. Consequently, the individual inhibitor domains are circular permutations of the sequence repeats. Collaborators:A/Prof Marilyn Anderson (La Trobe University, Melbourne). Plant defensins are small disulfide-rich proteins that exhibit antifungal and antimicrobial activity. The proteins are structurally conserved and have the fold of a cysteine-stabilised alpha-beta motif. In addition, the N- and C-terminus of plant defensins are linked by a disulfide bridge. I am studying a new class of plant defensins with an additional fifth disulfide bridge. Studies aim at elucidating the structural and functional role of this disulfide bridge. Collaborators:A/Prof Marilyn Anderson (La Trobe University, Melbourne). Sunflower trypsin inhibitor-1 (SFTI-1) is a cyclic peptide of 14 amino acids. The peptide is the smallest know Bowman-Birk inhibitor of proteinases, and with a sub-nanomolar Ki for trypsin also the strongest. The structure of the protein is highly stabilised by the cyclic peptide backbone, a disulfide bridge and an extensive network of hydrogen bonds. SFTI-1 exhibits the same structure in free form and in complex with trypsin. This minimisation of the entropic loss upon binding explains the high binding affinity. We try to understand how disease affects the metabolism of an individual. This information can potentially not only used for diagnosis or monitoring how effective a particular disease treatment is, by understanding the metabolic consequences of a disease we might learn something about the mechanism of a particular disease itself. I have several projects available in this area, focussing on a variety of model diseases. Some of our animal model systems are very well understood, and in these cases we are trying to take the next step by investigating the connection between genotype and phenotype on a systematic level. This project involves the detailed characterisation of an enzyme that catalyses the folding of other proteins in Escherichia coli. By using NMR spectroscopy and modelling, we try to understand the electrostatic interaction within the active site of the enzyme and gain a deeper understanding of its biophysical properties and mechanism of action. The practical use of NMR metabonomics involves the analysis of a multitude of NMR spectra and correlation of these data with other data from physiology, biochemistry, or clinical assessments. This multimodal analysis is at the cutting edge of systems biology and requires the development of novel analytical tools and techniques. Students with an interest or background in mutivariate statistics, programming and/or bioinformatics are highly welcome in this environment. Roberts, Matthew J., Schirra, Horst, Lavin, Martin F. and Gardiner, Robert A. (2014). NMR-based metabolomics: global analysis of metabolites to address problems in prostate cancer. In iConcept Press (Ed. ), Cervical, Breast and Prostate Cancer (pp. 1-43) Tokwawan, Kowloon, Hong Kong: iConcept Press. Schirra, H. J. and Craik, D. J. (2006). Overview of NMR in the Pharmaceutical Sciences. In Graham A. Webb (Ed. ), Modern Magnetic Resonance Part 2: Applications in Medical and Pharmaceutical Sciences 1 ed. (pp. 1177-1184) Netherlands: Springer. Schirra, Horst Joachim, Mühlhahn, Peter and Holak, Tad (1998). NMR Spektroskopie von Biomolekülen in Lösung. In Friedrich Lottspeich and Haralabos Zorbas (Ed. ), Bioanalytik (pp. 371-411) Heidelberg, Germany: Spektrum Akademischer Verlag. Chow, C., Schirra, H., Yaxley, J., Lavin, M., Roberts, M., Richards, R. and Gardiner, R. (2018). An investigation using molecular and metabolomic biomarkers for the non-invasive detection and characterisation of prostate cancer. In: 71st Annual Scientific Meeting of the Urological-Society-of-Australia-and-New-Zealand, Melbourne Australia, (30-31). 24-27 February 2018. Roberts, Matthew J., Richards, Renee S. Stirling, Chow, Clement W., Buck, Marion, Yaxley, John W., Lavin, Martin F., Schirra, Horst Joachim J. and Gardiner, Robert ('Frank') (2017). Non-invasive selection and monitoring of active surveillance candidates using NMR-based metabolomics: a preliminary investigation of seminal plasma. In: ANZUP Annual Scientific Meeting: The Art & Science of Best Practice, Melbourne, Australia, (35-35). 16-18 July 2017. Roberts, Chow, Schirra, Richards, Buck, Seth, Doi, Samaratunga, Perry-Keene, Payton, Yaxley, Lavin and Gardiner (2015). Diagnostic performance of PCA3, Hepsin and microRNA biomarkers in ejaculate in combination with serum PSA for the detection and triaging of prostate cancer. In: BJU INTERNATIONAL. 68th Annual Scientific Meeting of the Urological-Society-of-Australia-and-New Zealand, Adelaide, AUSTRALIA, (36-37). APR 11-14, 2015. Gardiner, R. A., Buck, M., Teng, L., Schirra, H. J., Roberts, M. J., Zenzmaier, C., Hancock, J., O'Rourke, P., Samaratunga, M. L. T. H., Scells, B., Payton, J. D., Perry-Keene, J., Yaxley, J., Coughlin, G. and Lavin, M. F. (2011). Multiple markers in prediction of prostate cancer from ejaculate. In: 20th Annual RBWH Health Care Symposium: Personalised Health Care, Brisbane, Australia, (). 10 -14 October 2011. Roberts, M. J., Schirra, H. J., Teng, L., Lavin, M. F. and Gardiner, R. A. (2011). Prostate cancer metabolomics: An emerging method of screening and diagnosis. In: Australian Society for Medical Research Queensland Postgraduate Student Conference, Brisbane, Australia, (). 31 May 2011. Roberts, M. J., Schirra, H. J., Teng, L., Lavin, M. F. and Gardiner, R. A. (2011). Prostate cancer metabolomics: Novel, robust, promising. In: 3rd UQMS Research Colloquium, Brisbane, Australia, (). 15th August 2011. Fuerst, John A., Hewavitharana, Amitha, Hooper, John, Izumi, Hiroshi, Ng, Yi Kai, Sagulenko, Evgeny, Shaw, Paul N., Schirra, Horst and Vidgen, Miranda (2011). Salinispora, Planctomycetes and their implications for sponge microbiology. In: 1st International sponge microbiology conf‏erence, Germany, (). 2011. Roberts M. J., Schirra H. J., Lavin M. F. and Gardiner R. A. (2011). This won’t hurt a bit – NMR-based metabolomics in medical diagnosis of prostate cancer. In: ANZMAG-2011 – the Australian and New Zealand Society for Magnetic Resonance, Torquay, Victoria, (). 12th October 2011. Schirra, H. J., Roberts, M. J., Lavin, M. F. and Gardiner, R. A. (2011). This won’t hurt a bit – NMR-based metabolomics in medical diagnosis of prostate cancer. In: 7th International Conference of the Metabolomics Society, Cairns, Australia, (144-144). 27 - 30 June 2011. Roberts, M. J., Schirra, H. J., Teng, L., Lavin, M. F. and Gardiner, R. A. (2011). Urine and ejaculate link local pathophysiology with systemic metabolic changes in Prostate Cancer: A metabolomic study. In: 12th Australasian Prostate Cancer Conference 2011, Melbourne, Australia, (). 3 - 5 August 2011. Li, J., Wijffels, G., Colgrave, M., Stoermer, M.J. and Schirra, H.J. (2010). Identification of crotonyl glycine in sheep urine using RP-HPLC, NMR and ESI-MS. In: Metabolomics and More - 1st International Metabolomics Symposium in Germany, Freising, Germany, (). 10-12 March, 2010. Teng, L., Buck, M., Hancock, J., Clarke, R., Samaratunga, H., Schirra, H., Zenzmaier, C., Berger, P., Catto, J., Yaxley, J., Gianduzzo, T., Coughlin, G., Lavin, M. and Gardiner, R. (2010). Multiple markers in prostate cancer detection in ejaculate. In: URS, USANZ Meeting 2010, Nelson, New Zealand, (). 10-12 November, 2010. Abd Rahman, S., Leong, G. M. and Schirra, H. J. (2010). NMR metabonomics method development and applications in obesity and related diseases. In: Metabolomics and More - 1st International Metabolomics Symposium in Germany, Freising, Germany, (). 10-12 March 2010. Abd-Rahman, Shaffinaz, Leong, Gary M. and Schirra, Horst J. (2010). NMR metabonomics: Method development and applications in obesity and related diseases. In: 23rd International Conference on Magnetic Resonance in Biological Systems, Cairns, QLD, Australia, (). 22-27 August 2010. Schirra, Horst, Abd Rahman, S., Leong, G. M., Nielsen, L. K. and Waters, M. J. (2010). Of mice and men - NMR-based metabonomics between systems biology and clinical science. In: 2nd Australasian Symposium on Metabolomics, Melbourne, Australia, (). 30 September - 5 October 2010. Schirra, H.J., Abd-Rahman, S., Wijffels, G, Ferguson, D., Leong, G.M., Waters, M.J. and Lichanska, A.M. (2010). Of mice and men - NMR-based metabonomics from animal systems to clinical science. In: Metabolomics and More - 1st International Metabolomics Symposium in Germany, Freising, Germany, (). 10-12 March, 2010. Schirra, H. J., Abd Rahman, S., Leong, G. M., Nielsen, L. K. and Waters, M. J. (2010). Of mice and men - NMR-metabonomics between systems biology and clinical science. In: 23rd International Conference on Magnetic Resonance in Biological Systems, Cairns, Australia, (). 22-27 August 2010. Li, J., Wijffels, G., Ferguson, D. M., Hunt, P. and Schirra, H.J. (2010). The passionate shepherd to his sheep - NMR-based metabonomics in animal welfare. In: 23rd International Conference on Magnetic Resonance in Biological Systems, Cairns, Australia, (). 22-27 August, 2010. Characterization of inflammatory responses of co-cultures of epithelial cells, macrophages and lymphocytes exposed to Porphyromonas gingivalis. Developing metabolic fingerprinting strategies to decipher algal hydrogen production.